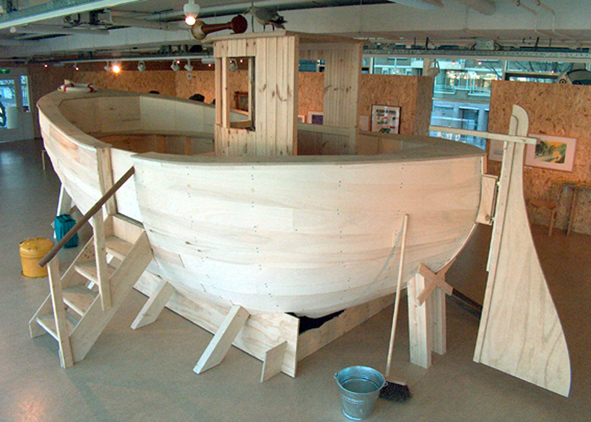 "Scared Little Ship" is an exhibition in Villa Zebra based on a story by the writer of children's books Ted van Lieshout. 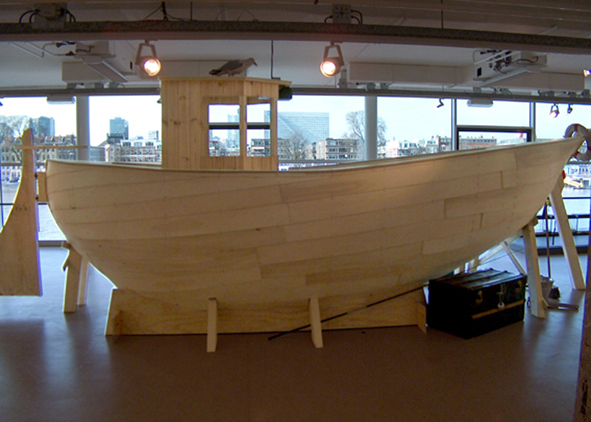 It is about a boat that is afraid to go into the water and nobody knows why. 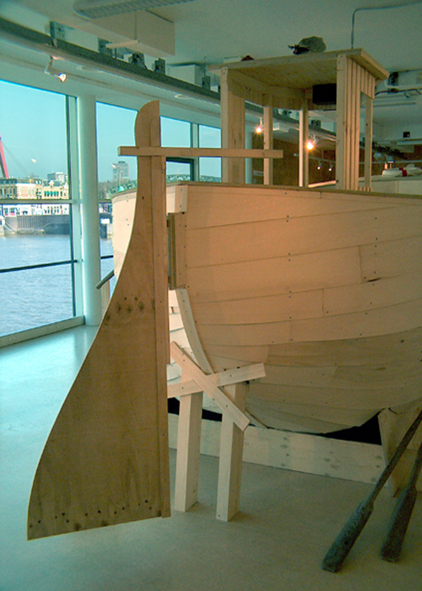 Over 20 works of art by different artists help children to find out what the boat is afraid for. 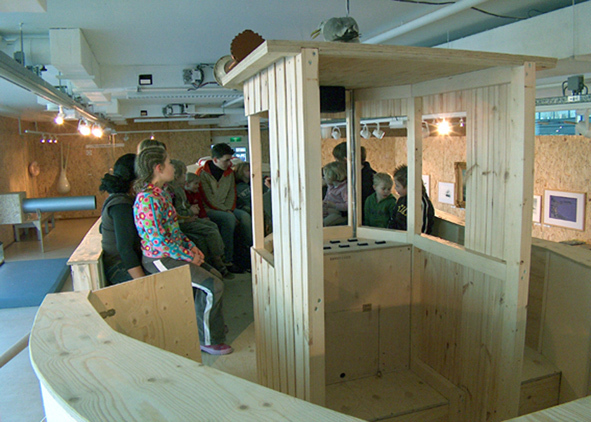 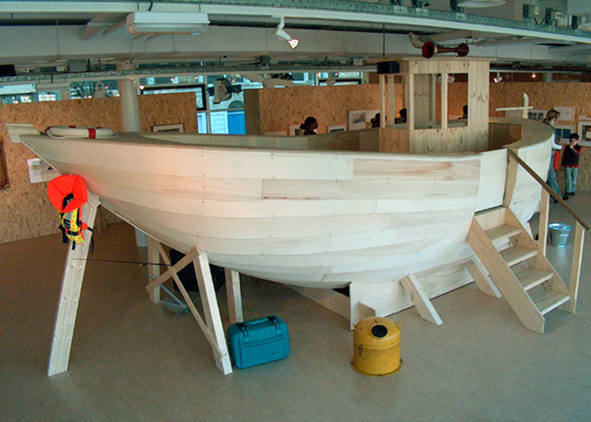 Studio illusha designed the boat and was curator of the exhibition.